Begin at the beginning. That’s what they always tell you to do, so that’s where I’ll start: at the beginning. My earliest memory of seeing artwork that inspired me to become an artist did not come from a museum or a gallery. I think the first artwork that I ever saw that made me say, “I want to do that!” was my copy of “Winnie the Pooh” by A. 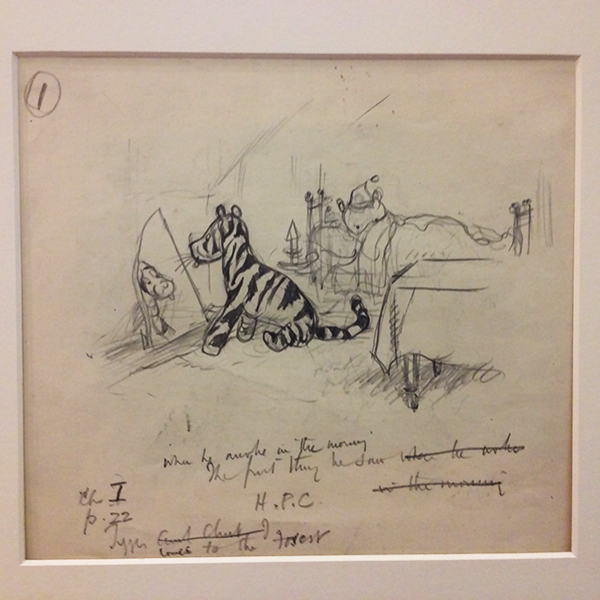 A. Milne, illustrated by Ernest H. Shepard. These are the original drawings: simple, black and white ink drawings, elegant in their simplicity, but so moving. Time moves forward. Art school and oil paint and Impressionism and all the other “isms” of the art world followed, but I have had a continuing and abiding love of Pooh Bear ever since then. Not only did Shepard’s drawings make me want to be an artist but when I began to think about being an illustrator of children’s stories and a cartoonist, his drawings were always front and center in my mind. So, upon reading Margaret Chodos-Irvine’s series of blog posts about visiting the Victoria and Albert Museum in London and making an appointment to examine drawings in their collection that are not on display, I was intrigued. She wrote a three-part series about her visit to the museum on her blog, Books Around the Table, which she shares with several other kid-lit writers. 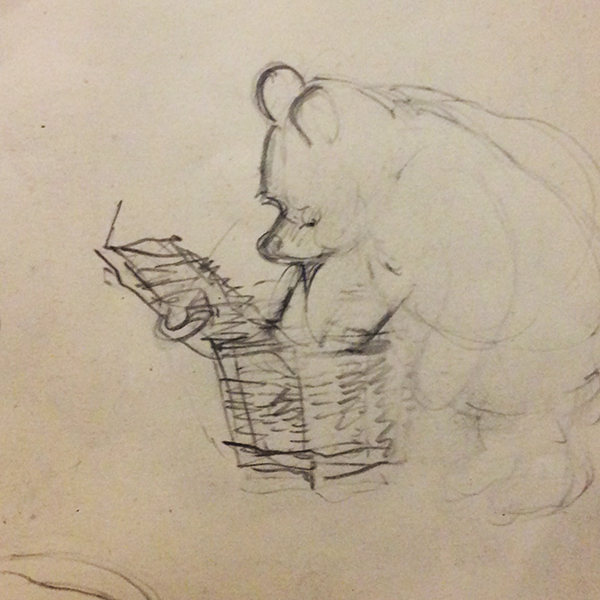 When she posted a photograph of one of Shepard’s Pooh Bear drawings, my brain went into hyper-drive. …I said to myself. And on a recent trip to London, I screwed up my courage and called the print and drawing study room and asked if I could have an appointment. (What if they say NO!!!???) But of course they didn’t say no. They said, “When would you like to come in?” and I said “tomorrow.” And so I did. 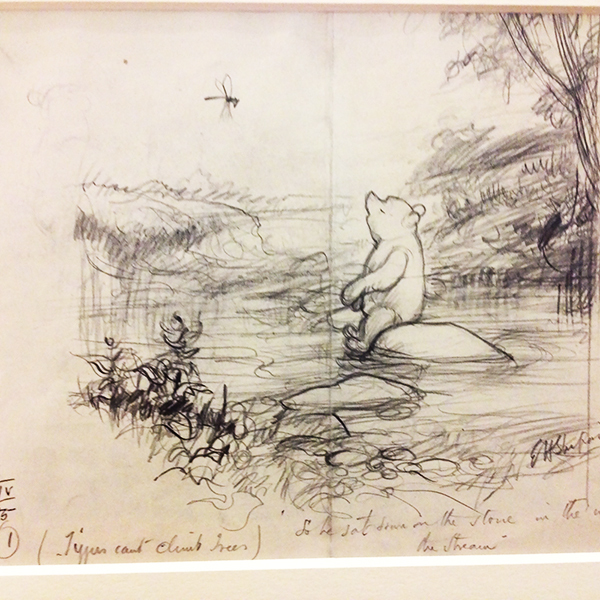 I went to the V & A (as it’s referred to in London) and headed to my meeting with Winnie the Pooh. An entire box of actual drawings by Ernest Shepard himself. The. Real. Thing. The finished ink drawings in the books are very clean and sure of themselves. The pencil drawings I saw here were raw and rough, with erasure marks as he changed his mind about the position of a head or leg or number of honey jars that Pooh was counting. In some cases there were multiple drawings of the same subject as he tried to capture the exact pose or composition of each drawing. When we see finished artwork, we rarely see the struggle that went into making it look the way it does. The more polished and effortless something looks, the more likelihood the artist struggled and fumed (and possibly said some very bad words) and started over multiple times before achieving that effortless grace we see in a gallery or picture book. This is worth remembering as we look at art and dismiss it as looking “too easy.” And those of us who try to make art that looks as if it descended whole and glorious from on high need to remember this, too. The struggle and the eraser is what makes it great. Thanks, you silly old bear, for the reminder. Anne Belov paints, writes and illustrates in her house that might be in the Hundred Acre Wood on Whidbey Island. Her paintings can be found at The Rob Schouten Gallery at Greenbank Farm and at The Fountainhead Gallery on Queen Anne Hill in Seattle. She is Mistress of Pandas at her blog, The Panda Chronicles, and is working on her graphic novel, a detective story with art and pandas, which she hopes will be finished someday. 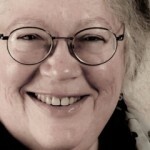 CLICK HERE to read more WLM stories and blogs. Have a great story idea? Let us know at info@whidbeylifemagazine.org. Thanks, Siri! It was really fun! Lovely! Thank you–Very fun that you got to see the originals. I adore those illustrations, too, and was greatly offended when Walt Disney co-opted these stories with his brand.